We’d love your help. Let us know what’s wrong with this preview of The Winters in Bloom by Lisa Tucker. Together for over a decade, Kyra and David Winter are happier than they ever thought they could be. They have a comfortable home, stable careers, and a young son, Michael, who they love more than anything. Yet b In bestselling author Lisa Tucker’s latest, a family discovers that it’s only when the walls between the present and past crumble that the future can bloom. To ask other readers questions about The Winters in Bloom, please sign up. Winters in Bloom is an intergenerational book centered on the loss or lack or just bad parenting. Mostly it’s moms who are derided but dads don’t come out too great either. Two small girls, Amy and Kyra, watch as their mom packs up the car and leaves her daughters weeping and alone on the front doorstep. They never recover. Though they have a father and stepmother they always feel the only one they can count on is one another. Amy tries to be perfect, perfect grades, behavior, l Where’s my Mommy? Winters in Bloom is an intergenerational book centered on the loss or lack or just bad parenting. Mostly it’s moms who are derided but dads don’t come out too great either. Two small girls, Amy and Kyra, watch as their mom packs up the car and leaves her daughters weeping and alone on the front doorstep. They never recover. Though they have a father and stepmother they always feel the only one they can count on is one another. Amy tries to be perfect, perfect grades, behavior, looks and Kyra buries herself in books. When they finally escape from their tiny Missouri town and go to college in Kansas City their lives do open up more but not necessarily for the better. Kyra’s husband to be is David and though he has a brutal father his mother is over the top wonderful. By the time they meet David and Kyra have had tragedies in their pasts involving the loss of children which leads them to decide to marry but to remain childless. Until they change their minds. Their son Michael quickly becomes the center of their world not only because they love him to distraction but because they’re so overprotective of him. “What could go wrong?” is always playing through their heads. While their story is engaging and there is a nice twist about a quarter of the way through the characters never quite lift off the page. They’re either too syrupy good or over the top damaged or selfish. The revelations of some mysteries are nicely paced. I hate writing negative reviews but in this case I can't help it. I was really looking forward to reading this book. The premise of this story was good with a child, Michael who disappears from his own backyard. The suspicion is he has been abducted. Yes, another one. I seem to have read a few on this vein lately. Maybe that was part of the problem. But I don’t think so. So many times I nearly gave up on this book. In the end I wished I had. Sheer stubbornness kept me reading but I admit to skim I hate writing negative reviews but in this case I can't help it. I was really looking forward to reading this book. The premise of this story was good with a child, Michael who disappears from his own backyard. The suspicion is he has been abducted. Yes, another one. I seem to have read a few on this vein lately. Maybe that was part of the problem. But I don’t think so. So many times I nearly gave up on this book. In the end I wished I had. Sheer stubbornness kept me reading but I admit to skimming, largely because I found the story never grabbed me as I had expected it would. What was the problem? Firstly the characters, Michael's parents, Kyra and David nearly drove me to distraction with their obsessive over protective behaviour. Yes, the author tries to give good reasons for it from their past but it never convinced me. I found them annoying. I found this book mostly rather uninteresting. The story of the Winter family - Kyra, David and their son, Michael, is meant to be an uplifting tale of the importance of risk and trust and I imagine some other points that I missed, but it ends up just mostly being a slog. We get the whole annoying backstory on both Kyra and David and are supposed to understand why they are ridiculously overprotective of their son and also why they fall apart when he is abducted (wouldn't everyone?). I think I wa I found this book mostly rather uninteresting. The story of the Winter family - Kyra, David and their son, Michael, is meant to be an uplifting tale of the importance of risk and trust and I imagine some other points that I missed, but it ends up just mostly being a slog. We get the whole annoying backstory on both Kyra and David and are supposed to understand why they are ridiculously overprotective of their son and also why they fall apart when he is abducted (wouldn't everyone?). 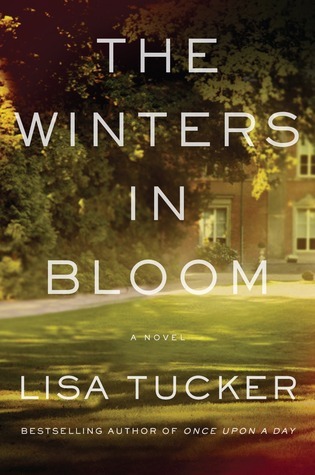 When I picked up The Winters in Bloom by Lisa Tucker I was definitely in the mood for some family drama reading. I got chills with the opening section and felt immediately connected to this small, 5-year old child named Michael. Then, he was whisked away and the story began to unfold. The Winters in Bloom is a novel that explores not only the disappearance of Michael, but the past histories of his parents. Both are overly cautious for reasons of their own. For David Winter, it was tragedy of one When I picked up The Winters in Bloom by Lisa Tucker I was definitely in the mood for some family drama reading. I got chills with the opening section and felt immediately connected to this small, 5-year old child named Michael. Then, he was whisked away and the story began to unfold. The Winters in Bloom is a novel that explores not only the disappearance of Michael, but the past histories of his parents. Both are overly cautious for reasons of their own. For David Winter, it was tragedy of one kind, and for Kyra, tragedy of another. And both their pasts intersect in a twisting, winding turn of events that had me guessing until the end of the book. While I enjoyed very much the "unputdownable" nature of The Winters in Bloom, I do have a bone to pick with it, however. The introduction of the book gave me this awesome, fantastic character in Michael and, aside from a few moments here and there throughout the story, there really wasn't much more time spent with him. As a result, what time there was spent with him seemed a bit gimmicky - like he was fairly one-dimensional and, as a result, the end of the book came off as a bit fake. I wanted to feel a powerful emotion of some sort when I got to the ending pages, but instead, I found myself speeding up my reading just because I wanted to finish and had lost that momentum of caring about Michael after the big reveal of who did it happened. Kyra and David Winter are both super cautious people because of their painful pasts. Both fear they don't deserve the happiness they currently have and that it will not last. Their worse fears are confirmed when their five year old son Michael disappears from their yard in the middle of the afternoon. Both parents are convinced the kidnapper is someone from their past, and now they must surrender their fears and confess what,a nd who, they are each hiding. This is a powerful and emotional book. I Kyra and David Winter are both super cautious people because of their painful pasts. Both fear they don't deserve the happiness they currently have and that it will not last. Their worse fears are confirmed when their five year old son Michael disappears from their yard in the middle of the afternoon. Both parents are convinced the kidnapper is someone from their past, and now they must surrender their fears and confess what,a nd who, they are each hiding. This is a powerful and emotional book. It is as much a story about each of their pasts as it is about the current kidnapping of Michael. These pasts are sad and heartbreaking. Both Kyra and David have been through horrific situations at a young age, and now they are forced to confront and relive them as they try to figure out who stole their son. While I loved this book, I disagree with the descriptions calling it an "optimistic... enchanting, life-affirming story". I did not find it positive or uplifting in any sense. To me, this is a story about pain and sorrow and learning to move beyond your past in order to have a happy present. This is a story that tugs at your heart strings, and makes you feel for all the characters. There are no true good and bad characters, just realistic people with heavy burdens. I didn't care much for this story of 2 overprotective parents and their little boy; I stuck with it to learn who took the boy from the backyard one day. This novel had too many extremes: evil stepmothers, drug addicted sister, eternally patient husband to complaining and off balance wife. The character development was so heavy handed that I had no sympathy for these people. Rather, I didn't care about them. Doubt is a powerful emotion especially when it spills over into a child’s world. Children are very perceptive and can easily pick up on a parent’s thinking whether it is verbally expressed or not. I doubt he can climb that tree, so we mustn’t let him try. Doubt is pervasive whether we want it to be or not. Five-year-old Michael lives in an environment of doubt. Although his parents, David and Kyra Winter, believe they are doing everything possible to raise a happy healthy child, what they are act Doubt is a powerful emotion especially when it spills over into a child’s world. Children are very perceptive and can easily pick up on a parent’s thinking whether it is verbally expressed or not. I doubt he can climb that tree, so we mustn’t let him try. Doubt is pervasive whether we want it to be or not. So begins the worst nightmare for any parent – their child has been kidnapped. There are no clues and even though both David and Kyra were home at the time, neither of them saw the kidnapper take Michael. As they struggle to come to grips with the situation, they each must face some horrible truths about their respective pasts. Neither has been totally forthcoming with each other during their marriage about their past relationships and now they must not only face their demons, but also face each other. Has their marriage and their life together been nothing but a lie? Can they survive the scrutiny and come out whole on the other side? Does one of them know who the kidnapper is? These are the questions that Ms. Tuckers explores as she takes the reader on a roller coaster of emotions. She does a masterful job revealing the secrets from both David’ and Kyra’s past. My one complaint was that the clues surrounding the “Dear Mother” letters were too subtle and it caused some confusion about one of the characters. It wasn’t until I had finished the book that I realized who was writing the letters. The letters themselves make a powerful statement and I would have enjoyed that part of the book more if I had known who was writing them earlier in the story. Kyra and David Winter are happier than they ever thought they could be. They have a comfortable home, stable careers, and a young son, Michael, whom they love more than anything. Yet because of their complicated histories, Kyra and David have always feared that the life they created was destined to be disrupted. And on one perfectly average summer day, it is: Michael disappears from his own backyard. I liked this book. Poor little Michael –his parents have so many restrictions, if he were older than five, he might have actually put a sign around his neck that said GET ME OUT OF HERE. On the day he was taken, it was only the second time his Mom had let him outside by himself and this was after reading a book about letting kids be free range! I won’t be ruining anything by letting you know that fairly early in the book, we find out that the police find a “happy kidnapper note” explaining that the person who took Michael does not intend to hurt him and will return him soon. So this isn’t a scary book about a child kidnapping, but the story of Krya and David’s past, their perception of mistakes made early in their lives and how they feel it has led to Michael’s disappearance. The author weaves a good tale and throws a twist in at the end that I did not see coming. This book was published 9/13/11. I would like to thank netGalley and Simon &Schuster Publishing, Inc. for allowing me to read this copy. The Winters in Bloom is a chilling portrait of a modern family and how they react when their greatest fear is realized. As the story goes back and forth from David and Kyra's memories to their present-day sufferings, the reader is left to guess as to Michael's whereabouts and to the identity of his kidnapper. Ms. Tucker explores the long-lasting impact of secrets on relationships. Kyra and David are so filled with fear that they make one uncomfortable. How they can say they are living life is com The Winters in Bloom is a chilling portrait of a modern family and how they react when their greatest fear is realized. As the story goes back and forth from David and Kyra's memories to their present-day sufferings, the reader is left to guess as to Michael's whereabouts and to the identity of his kidnapper. Ms. Tucker explores the long-lasting impact of secrets on relationships. Kyra and David are so filled with fear that they make one uncomfortable. How they can say they are living life is completely questionable. As for the impact of their fears on Michael, one's heart goes out to him for being hampered by his parents' rules, which do nothing to protect him in the end anyway. In seeing Kyra and David's rules through Michael's eyes, the reader is left questioning whether Michael's parents are causing more harm than good. As for the much-touted secrets harbored by both Kyra and David, they are decidedly anti-climactic. Both are so scared, that the reader's expectations are artificially raised. The secrets, when finally exposed, are serious but nothing that would require keeping it private from everyone, at least in my opinion. The reader can all but feel the tension leave the story after the big reveal as a result. There is something fundamentally lacking in The Winters in Bloom that prevented me from enjoying the novel as much as I hoped. Considering a large majority of the action dealt around keeping secrets from loved ones, I struggled finding common ground with any of the characters. I do not buy the fact that two people who are supposedly so in love would hide such secrets for such a long time. The fact that they do is ultimately the root of all their problems and is depressing for how avoidable it all is. While I understand that this is the point, it is a rather gloomy image of trust in relationships that forces the book to fall flat for me. When I started reading my e-galley of The Winters in Bloom, I noticed first the page at the beginning where the publisher was talking about how much she loved this book and how it was the best one of the year. Her praise was so high that I kind of rolled my eyes, thinking that she loves it because it will make her money. I am happy to report that the book really was that good. From the absolutely incredible first chapter, I was totally involved in the story. 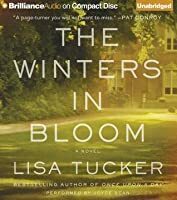 My one previous experience with Lisa T When I started reading my e-galley of The Winters in Bloom, I noticed first the page at the beginning where the publisher was talking about how much she loved this book and how it was the best one of the year. Her praise was so high that I kind of rolled my eyes, thinking that she loves it because it will make her money. I am happy to report that the book really was that good. From the absolutely incredible first chapter, I was totally involved in the story. My one previous experience with Lisa Tucker proved disappointing (The Song Reader), perhaps because my expectations were really high. I own a couple of her other books, but haven't gotten to them yet. I am now super glad that I have them. So yeah, I mentioned how mindblowing the first chapter was. The book opens from Michael's point of view (although in third person) and you can see how much he has been affected by his parent's worries. Young as he is, he has already inherited their fear of everything, as evidenced in the first line: "He was the only child in a house full of doubt." Five years old and he looks around thinking about the many ways he could get injured. This is what he was doing in his time in the backyard by himself when the nice lady came and asked him if he wanted to go on a ride. Wow. Just wow. While the rest of the story was not as dramatic and intense as this one, the story definitely maintained its beautiful simplicity. I loved finding out what had happened to the various characters to make them into who they now were. There are a lot of hints as you go along, allowing you to make your own suppositions (I was right about David/Courtney, but wrong about Kyra). This is the story of two families who become oddly connected due to a tragedy. This has to be explained by understanding the earlier life of one of the characters, Kyra , and the first marriage of Kyra's husband, David, to his first wife, Courtney. The characters in this story have all been touched by some sort of abandonment that leads Kyra and David to totally over protect their five year old son. At first it was difficult to understand why this overprotection was so over the top but as the story plays out it becomes very clear that they are so afraid of any harm falling upon their son that they will take drastic measures to protect him. The telling of the story itself was delicious in its dysfunction. This was a book that sort of made me read it in huge chunks just because I could not bear to not know what was happening. I thought I would read a page or two more and before I knew it I had read another fifty pages. I almost want to say that these characters had fascinating flaws...in one family a mother leaves her two daughters and they never see her again. This leads to sort of messed in the head daughters, divorce , custody battles..sort of basic ordinary dysfunction told in a fascinating addictive ingenious manner...I did not think I would like this book and I loved it...devoured it...ate it up and every single one of its multiflawed characters. I will not tell you more...I had no preconceived ideas about the ending. There were sad sweet surprises in this story. I cared for every one of these people. This is the first book I have read by Lisa Tucker but won't be my last. The first part of the book caught my attention and demanded that I read on. Kyra and David Winter experience one of the the worst nightmares a parent can experience, their son, Michael is abducted. We get a glimpse of what they are going through in the beginning and also get a glimpse of Michael and his abductor although the abductor's identity remains a mystery. The book then goes into the past lives of Kyra and David. We le This is the first book I have read by Lisa Tucker but won't be my last. The first part of the book caught my attention and demanded that I read on. Kyra and David Winter experience one of the the worst nightmares a parent can experience, their son, Michael is abducted. We get a glimpse of what they are going through in the beginning and also get a glimpse of Michael and his abductor although the abductor's identity remains a mystery. The book then goes into the past lives of Kyra and David. We learn how they got to be where they are today and the many people who have been a part of their lives, from Michael's ex-wife to Kyra's estranged sister to their parents. All of the people involved are very interesting characters. They are all very flawed and dysfunctional. This part of the book, while very informative, drove me crazy! It did not move fast enough for me. I wanted to know who had this young boy and why! It felt like it took forever to get Part 3 of the book where we finally learn who took Michael. Part 3 made up for the all the aggravation I felt reading the previous two parts. The suspense was intense until the end. The story is full of twists and turns that keep the reader guessing until the very end. Kyra and David Winter seem to have the perfect life. A strong marriage, great careers and a beautiful son named Michael. On an ordinary summer day their perfect life begins to crumble when Michael disappears from their backyard. They each suspect the past they have been running from for so long has finally caught up to them. Krya and David begin to realize that in order for them to move forward, they must revisit the past they have hidden from each other. Lisa Tucker’s novel The Winters in Bloom is so much more than a story about a missing child. This is a story that sheds light on the complexity and fragility of a family dealing with many issues. Parental abandonment, drug abuse, postpartum depression and guilt are just a few of the issues the Winters must confront while dealing with the heartbreaking disappearance of Michael. Kyra and David Winters are cautious parents to 6-year old Michael. Some might say overly cautious. Their lives soon come under scrutiny after Michael disappears from their backyard, threatening to change their lives forever. An excellent narrative on why families should be as honest as possible with one another. The secrets that both David and Kyra hold inside threaten to break their marriage and their family. At times far-fetched and at others, spot on, this novel made me really think about how Kyra and David Winters are cautious parents to 6-year old Michael. Some might say overly cautious. Their lives soon come under scrutiny after Michael disappears from their backyard, threatening to change their lives forever. An excellent narrative on why families should be as honest as possible with one another. The secrets that both David and Kyra hold inside threaten to break their marriage and their family. At times far-fetched and at others, spot on, this novel made me really think about how our lives make who we are. It's also important that we share with those we love, as it's always possible something we think will stay hidden will come to the surface. Kyra reflects on her past, certain that it has caught up to her and is causing her the grief she's now experiencing. David reflects on his and is certain that it's his fault this is happening. At times, it took concentration to realize who was doing what or what time period I was currently reading about. It would become apparent quickly and this was most likely more pronounced as I read the book over an extended period. But, overall, the storyline continued in a fashion that elaborated on each person's life, the people who formed who they were now, and the reconciliation that can come from knowing. The Winters, David and Kyra, are happy being married to each other and parenting their gifted son, Michael. Their happiness is not without undercurrents, as they each have reason to fear that sudden, devastating loss may enter their lives. In some people, emotional scars are readily apparent. However, there are other people whose inner wounds continue to fester and never heal over. They may appear functional, but the turmoil inside increases in pitch until it escapes, leaving havoc in its wake. The Winters, David and Kyra, are happy being married to each other and parenting their gifted son, Michael. Their happiness is not without undercurrents, as they each have reason to fear that sudden, devastating loss may enter their lives. In some people, emotional scars are readily apparent. However, there are other people whose inner wounds continue to fester and never heal over. They may appear functional, but the turmoil inside increases in pitch until it escapes, leaving havoc in its wake. Lisa Tucker's story line for "The Winters in Bloom" takes place in one day. Vividly told flashbacks from each of the characters explain how young Michael Winter came to disappear from his own backyard. At the end of a very long, emotionally revealing day, the resolution comes in an unexpected, hopeful manner. Learning to forgive is cleansing and cathartic. The personal spiritual freedom of letting go of long-held hurts is ultimately life-affirming. The Winters in Bloom is an introspective novel about forgiveness. Not just forgiving people for their transgressions against us, but forgiving ourselves for mistakes made long ago. The Winters in Bloom is somewhat of a dark novel. The subject matter is heartbreaking, there is no way around that. I did like that portions of the book is set in Kansas City, on a day (Home opener of the Chief's) that I want to be in Kansas City more than any other day, it was nice to read about a piece of "home". The book itself would be a good one for a book club. Lots of possible discussion material within the sheets of this novel. Overall, The Winters in Bloom is a great piece of Women's Literature, but don't pick it up expecting a heartwarming, "feel good" type of tale. You will be disappointed if you do. What do you get when you cross a preposterous plot with implausible characters....the first truly bad Lisa Tucker book I've read. My guess is she was going for an intelligent psychological thriller but ended up with a ridiculous trainwreck of young adult fiction. The story follows Kyra and David a neurotic young couple who on the surface seem to have it all yet have always feared that this domestic bliss couldn't last. I was confused thoroughly mid way through by characters who looked and felt t What do you get when you cross a preposterous plot with implausible characters....the first truly bad Lisa Tucker book I've read. My guess is she was going for an intelligent psychological thriller but ended up with a ridiculous trainwreck of young adult fiction. The story follows Kyra and David a neurotic young couple who on the surface seem to have it all yet have always feared that this domestic bliss couldn't last. I was confused thoroughly mid way through by characters who looked and felt the same, and the only reason I didn't put the book down was because I'm a big fan of the author. After reading and enjoying Lisa Tucker's, The Song Reader, I was thrilled to be reading another of her books. The first chapter blew me away. The rest of the story is told going back and forth between the past and present, introducing us to each of the characters and how they were connected to each other. The ending, involving the tree, I thought was brilliant. It left me feeling satisfied after everything that went on in the story and thinking "this is just right and now they can carry on". This After reading and enjoying Lisa Tucker's, The Song Reader, I was thrilled to be reading another of her books. This novel kept me guessing throughout and pulled at my heartstrings. This book sounded promising, but I couldn't get into it after the first chapter. Like someone else said in their review, there was too much telling about what happened ala "this happened, and then this happened" and not enough active story. Maybe I should have stuck with it through the back story, but I just wasn't interested enough. This book was way too slow for me. Instead of telling the story Lisa Tucker took the long way around and told prior stories about how the Winter's got where they were. I tried and tried and tried again to read this because its blurb was so good - the book not so much for me. Ultimately it's all hat and no cattle - where hat is exposition and cattle is ... hell, I don't know what it is, but never you mind. Not for me. I usually love her books.......not sure how I'm liking this one though. About halfway through and I'm feeling lost about it. Now that I'm done with it, I decided I was disappointed with it. Her books have been published in twelve countries and selected for Borders Original Voices, Book of the Month Club, the Literary Guild, Doubleday Book Club, People magazine Critic’s Choice, Redbook Book Club, A Lisa Tucker is the author of six novels: The Winters in Bloom, coming this September; The Song Reader, Shout Down the Moon, Once Upon a Day, The Cure for Modern Life, and The Promised World.